Small burritos mean you get to enjoy a variety of stews. Essential T: Stop the Presses, Burritos La Palma Introduces Mexican Burritos to L.A.
I’ve been on a burrito quest since well before I joined L.A.’s food-writing community, a different journey than many of you California, Mission and Chipotle burrito eaters, a search for traditional Mexican burritos: handmade flour tortillas filled with a simple guisado. 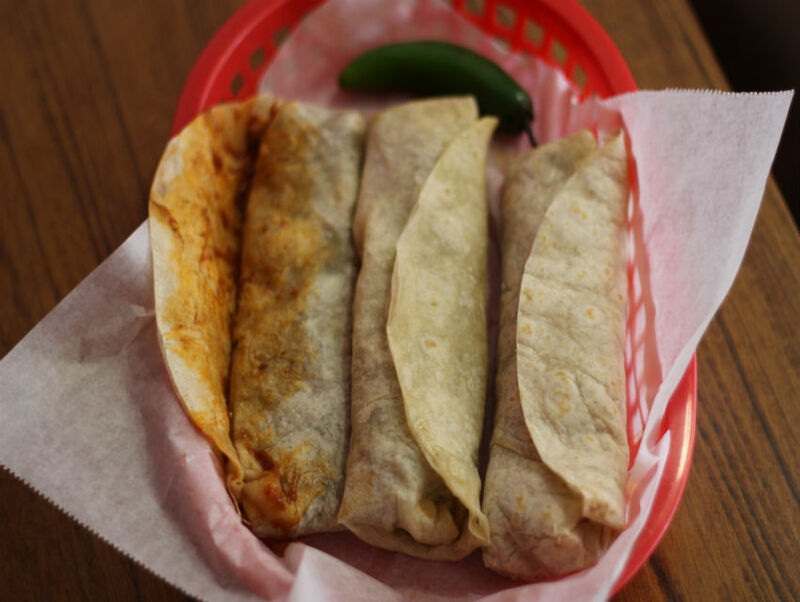 Burritos are a type of taco de guisado (stew taco), a simple, tasty stew or braise wrapped in a flour tortilla—the strongest traditions are from Sonora, Chihuahua, Coahuila, Durango, and Nuevo Leon among other northern states. There’s also a serious burrito culture that exists in Central Mexico, in what I call the swing states–including Zacatecas, Jalisco, and Aguascalientes (where my family is from). In such burrito strongholds, both corn and flour tortillas are in common use. This is the way it is in Jerez, Zacatecas, where the Bañuelos Lugo family opened their first location back in 1980 on Las Palmas Street; since then, they’ve opened branches of Burritos La Palma in the Zacatecas cities of Jerez, Guadalupe, and Zacatecas, as well as Monterrey in Nuevo Leon. They added their 10th location in Los Angeles County’s El Monte, part of the San Gabriel Valley, three years ago. 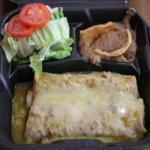 Burritos La Palma makes their flour tortillas from scratch and serves them with deeply flavored stews. There’s a wet burrito inspired by U.S.-style baked enchiladas (the Bañuelos Lugo family lived in California before returning to Jerez to open a tortilleria and then La Palma) but born in Jerez. 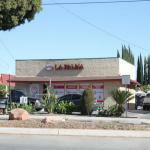 La Palma serves a juicy deshebrada burrito. Burritos La Palma comes to El Monte via Jerez, Zacatecas. 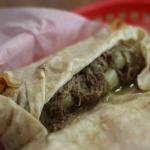 The Platillo Especial is a pair of beef birria burritos baked with cheese and salsa verde on top. Zacatecas is known for its goat birria, but for the Jerez-style burrito, La Palma slowly cooks beef in an intense, aromatic stew of dried red chiles and spices that are best slurped slowly with each bite of beef and tortilla; the deshebrada is a classic rendition of juicy meat and potatoes in a light tomatillo sauce. Chicharrones cooked in salsa are also a common filling for Mexican burritos, but the version at La Palma has a dreamy pasta-like texture–if you’ve ever imagined al dente, spicy farfalle made of pork skin wrapped in a flour tortilla, your dreams have come true. Then there’s the Platillo Especial in which a pair of beef burritos are given the Betty Crocker enchilada treatment—the burritos are covered in cheese and salsa, then baked—an idea inspired by the ’70s Mexican-American cuisine the Bañuelos Lugo family experienced when they lived in California. The dish was unveiled to their customers in Zacatecas who fell in love with this Americanized Mexican plate, and at their first U.S. location, it’s all come full circle—for me, too.